If you are joining us via a search result Bing, Google or another search engine welcome to our website. If you find this information useful and it solves this problem for you that is great. All we ask is that you take a moment to see if any of the services we offer might benefit you. If you would like assistance implementing this solution for you or along with you please contact us today to get our rates and schedule the assistance. This article will build upon the work of others whose information WSI studied, that helped us come up with this solution. Thank you to the other talented people who have already written on this topic. Our testing environment consisted of two Microsoft Active Directory Domain Controllers running on Microsoft Azure with 80+ Win 8.1 Pro machines connected to the Domain. 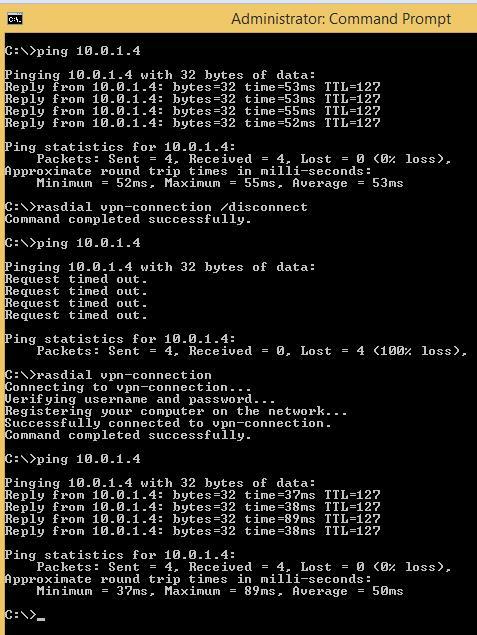 These are roaming users with no connectivity to the Domain outside the VPN connection. Once all was setup we discovered a very strange issue, our clients would do a Group Policy update (GPupdate) for only ten minutes after logon, then the User Policy would apply but not the Computer Policy. If that is acceptable then great, however this was not an acceptable outcome for us! WSI spent countless hours on the phone with different Microsoft Engineers and finally found the fix. Search as you will but this is nowhere to be found on the Web or on TechNet as of the time this article was written. If you need proof try searching for this error: SMBClient/Security Event ID 31001 we had an entry for every time the System made an attempt to update Group Policy. Also saw this one, Event 1058 Account does not exist, if you have other Events something is wrong with your Domain or network setup, ours was pristine as verified by Microsoft Engineers we worked with. Here is where things fall apart, how do you control the VPN Client Azure gave you to connect to Azure, you do not. It is manual process and there is no way to automate it. You will also find the steps to fix routing via a PowerShell command, this is only needed in Windows 7, Windows 8.1 has this worked out and the PowerShell script is not needed. This has been tested in Windows 7 and works when the PowerShell script is used to fix routing to your new 10.x.x.x Azure VPN connection. Excellent work done by “Diary of a Ninja” hats off to you! On to the automation side of this, there are a few moving parts. Things to note, the VPN Client Certificate can NOT be installed as the Computer Account and expect to work for Client logons with Windows 8.1, Windows 7 yes. This means your Windows 8 Client will have to manually install the Certificate and they will need the Private Key, not ideal at all. Here is how we got around that. Remember the Certificate thing mentioned above? We create a folder once the Certificate is installed in the Users Profile, and if found, logon script skips past that step. Ok all is good and you are connected to Azure at logon, all works and you can talk with all VMs created and assigned to your Virtual Network. But what if you are managing a Domain and want to push Group Policies down to Computers and Users? We hope you found this information useful and were able to solve this problem. WSI provides full service Microsoft Server and Microsoft Active directory support and configuration services. Please contact us to find out our current rates and schedule a time for one of Microsoft Server/Azure experts to assist you. Winning Solutions, Inc. offers a wide variety of programming and hosting services including design and implementation of your system on Azure or other hosts. Please contact us today for a no charge initial consultation to determine if the services we offer will help you.